The all new Alfa Romeo Giulia marks not only a return to the D segment of the car market for Alfa Romeo but also a full overhaul of the brand. It is no secret that the Alfa brand has been struggling in Ireland for some time. There is no real explanation for this other than that the consumers simply haven’t had the confidence to commit. Cars aren’t cheap and you have to seriously consider parting with such cash. 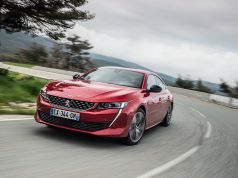 What Alfa Romeo have now delivered on with the new Giulia is a car that is affordable within its segment and has the styling and trim levels which will tempt potential customers away from their competitors such as the BMW 3 Series, Mercedes C-Class, Jaguar XE and the Audi A4. 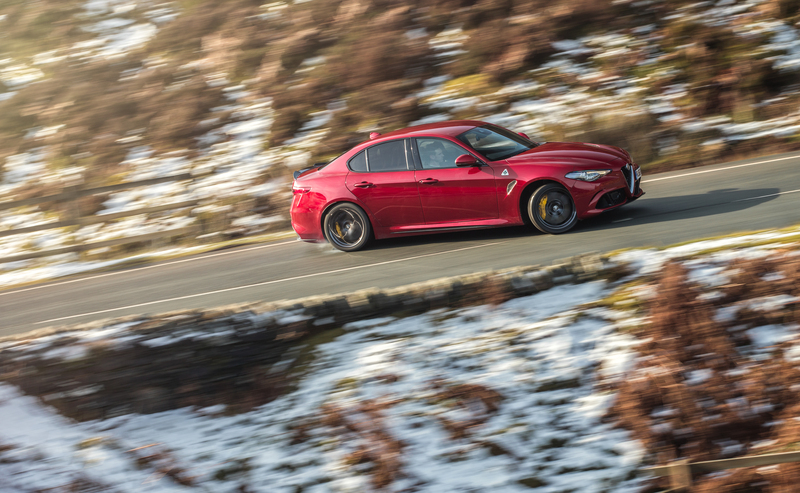 These models have their own established customer base and the offering of an alternative rear wheel drive saloon might just get people thinking long enough to realise the attraction of the new Alfa Romeo Giulia. The Alfa Romeo Giulia is built on an all new rear wheel drive platform. 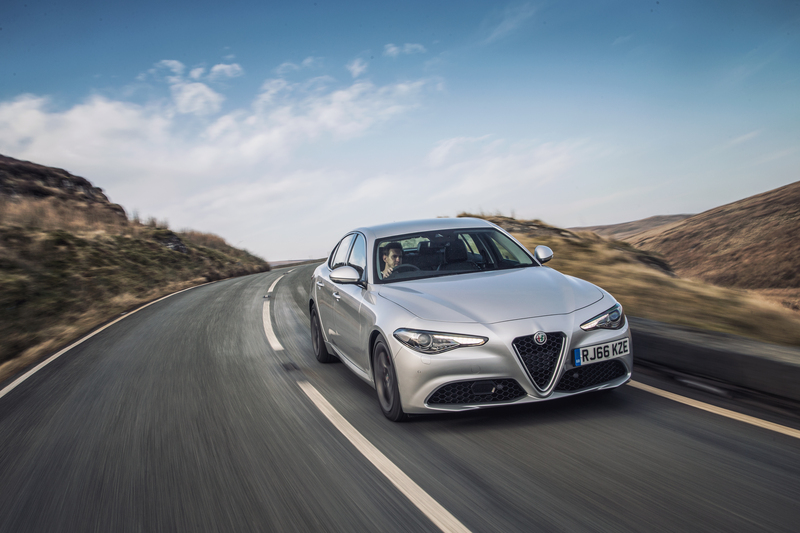 Engineered from the ground up, the Giulia boasts short overhangs, a long sloping bonnet, the longest wheelbase in its class and a muscular appearance. 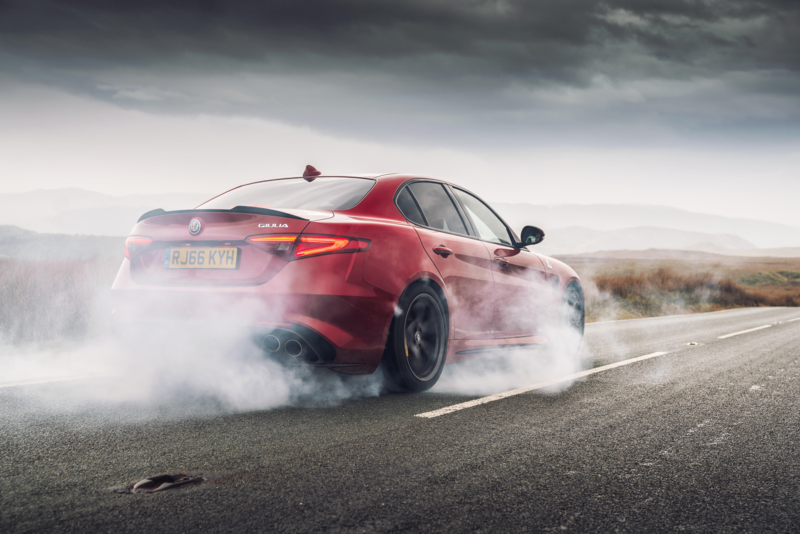 Throughout the design of the Giulia it is evident that Alfa Romeo have paid specific attention to weight saving through the clever use of materials such as aluminium and carbon fibre to achieve an almost perfect 50:50 weight distribution. It is all well and good me hearing these details and you reading them but to see exactly what is meant by them you really need to see it and more importantly drive the new Alfa Romeo Giulia to see it and feel it for yourself. 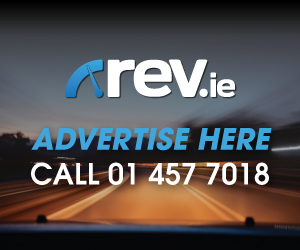 In Ireland, the new Alfa Romeo Giulia will be available in a 2.0 litre turbo petrol engine with 200hp and a 2.2 litre turbo diesel engine with 150hp or 180hp depending on your choice. There is also the range topping Quadrifogio 2.9 litre V6 Bi-Turbo with 510hp. All models are mated with an eight-speed automatic transmission. The trim levels start from “Giulia” followed by “Sport” and topped off by “Super Sport” or “Sport Lux” depending on what final finishes you choose. Standard equipment in “Giulia” trim includes 16inch alloys, daytime running lights, LED rear lamp clusters, dual zone climate control, Connect infotainment system as well as safety features such as forward collision warning, autonomous emergency braking with pedestrian detection and lane departure warning. 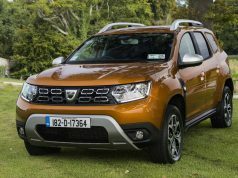 It should also be noted that it is only the 150hp diesel model and 200hp petrol model which are available in this trim. Step up to the “Giulia Super” spec and you will be upgraded to 17inch alloy wheels, leather and fabric seats, steering wheel paddle shifters and a special interior trim. The 180hp diesel engine is also available in this trim level. The “Super Sport” trim level adds on a sports steering wheel, aluminium interior trim and Xenon headlights along with 18inch alloys wheels of your choice, painted brake callipers as well as rear privacy glass. 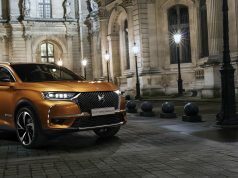 The “Super Lux” trim offers more along the lines of driver aides or comforts in the form of full leather seats, front parking sensors, reversing camera, adaptive cruise control and power folding mirrors. As you sit into the new Giulia you will notice that no matter what trim you choose the initial driving position offers an excellent level of visibility. In keeping with a lot of its competitors, the interior has been de-cluttered and designed to be centred around the driver with the main controls grouped together on the steering wheel. There are also two knobs located behind the gear selector which control the Alfa DNA selector (this is also where you can select “Race” mode in the Quadrifoglio) and the second knob which controls the infotainment system. If you choose the entry level “Giulia” trim you will receive a 3.5inch colour instrument display while from “Super” trim upwards you will receive the larger 7inch colour instrument display. Here the driver will receive all the relevant driving information which changes depending on the mode selected on the Alfa DNA system. 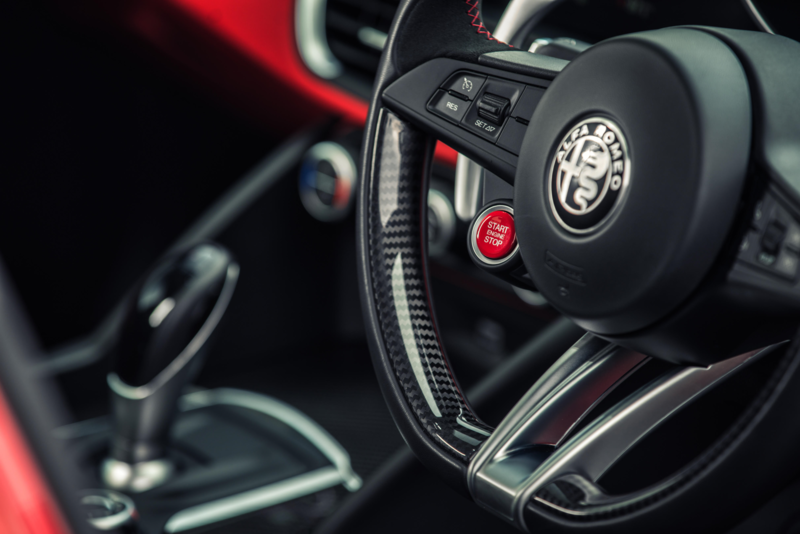 The START button is also cleverly located on the steering wheel adding to the racing heritage within the Alfa Romeo. 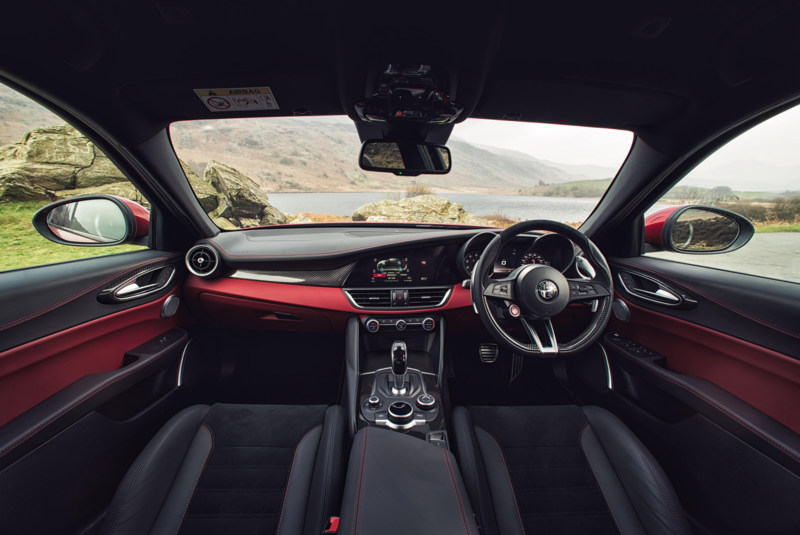 The seating, both front and rear in the standard petrol and diesel models offers excellent support while the sports seats within the Quadrifoglio are flawless and offer a brilliant mix of lumbar support and optimum driving position. Boot space in the new Giulia sits at 480 litres and access to the boot area is achieved quite easily. 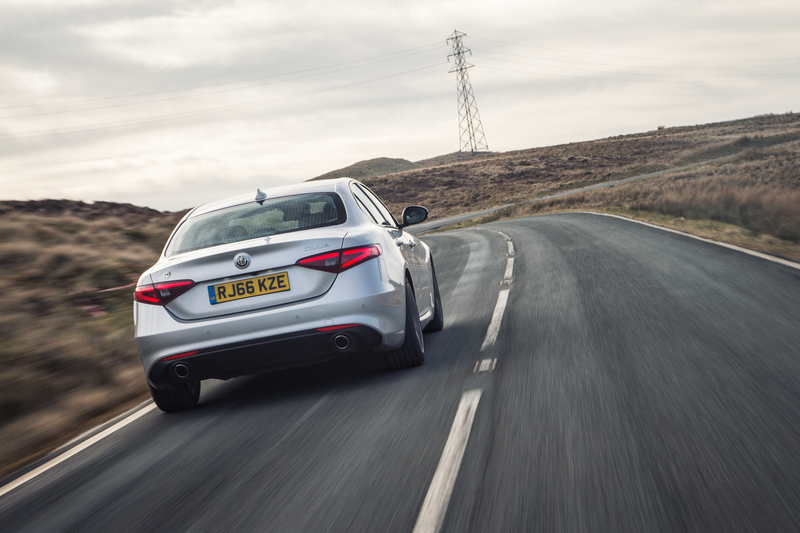 It is when you take to the road in the new Alfa Romeo Giulia that you will see exactly where all the design engineering has gone. 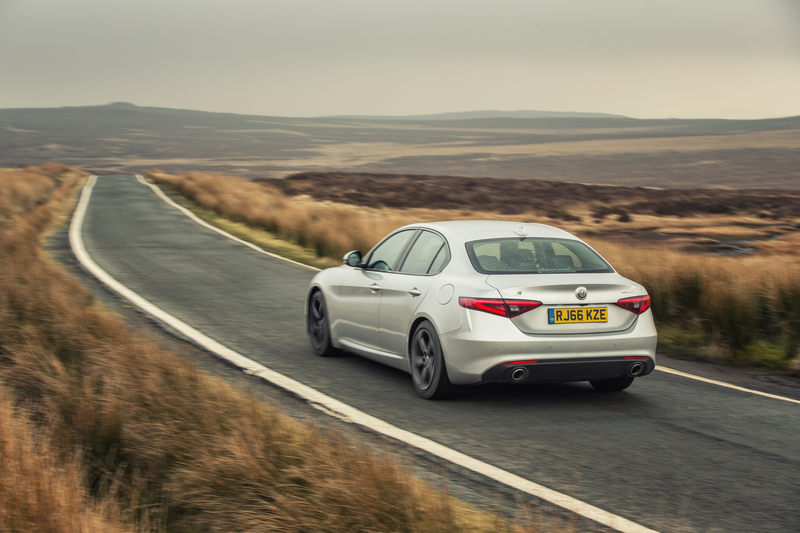 The Giulia in even its most basic form offers a smooth, fluent ride with well-balanced handling. 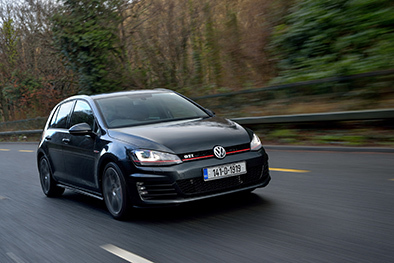 Whilst I had the opportunity to drive all the engine variants throughout the course of the press launch, the engine of choice within the Irish market with most likely be the 2.2 diesel while personally I’d be opting for the 180hp choice. This engine performs well with limited road noise intruding in the cabin. 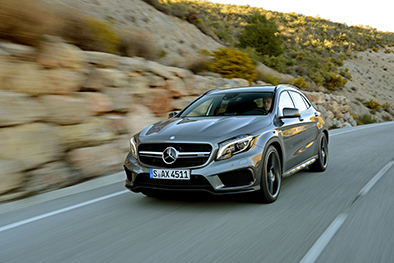 Acceleration is responsive and 0-100 km/hr can be achieved within 7.1 seconds along with a top speed of 230 km/hr. 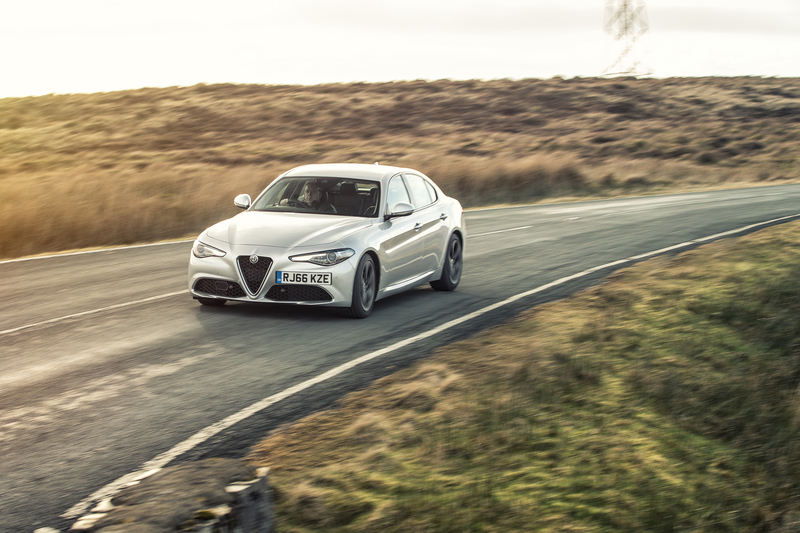 Steering response from the Giulia is almost instant. It is lightening quick, so much so that it would be very easy to over complicate things and oversteer into corners. Once you come to understand this however it makes for an enjoyable drive where you long to find the winding mountain pass just so that you can have some fun with the Giulia. Speaking of fun, that is where the range topping Quadrifoglio comes in to play. Under the bonnet of the Cloverleaf as it is also known is a Ferrari inspired 2.9 litre V6 Bi-Turbo engine which delivers 510hp along with 600Nm of torque from an entirely aluminium engine block. This power is distributed to the rear wheels through a carbon fibre drive shaft which Alfa state helps to reduce the overall car weight by 7kg. 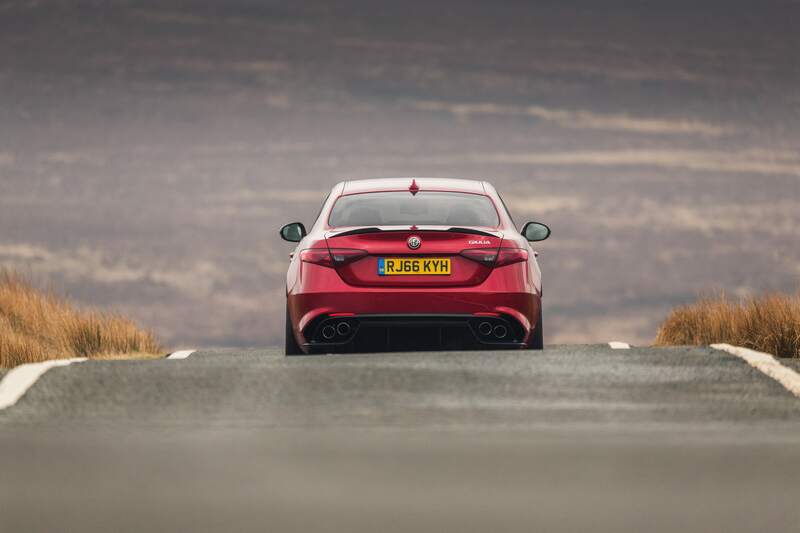 Not a lot on its own but in the context of a racing inspired saloon every kilogramme counts! You can even select the optional extra of ceramic brake discs and lightweight seats if you want to lighten the load even more. As I said earlier on, the Alfa DNA selector mode allows you to also select “Race” mode on the Quadrifoglio and this is where the engine performs to the most of its ability and where it truly belongs. Select “Race” mode and the car disengages the electronic aids completely as well as preparing the engine, transmission, steering, brakes and rear differential for track use. 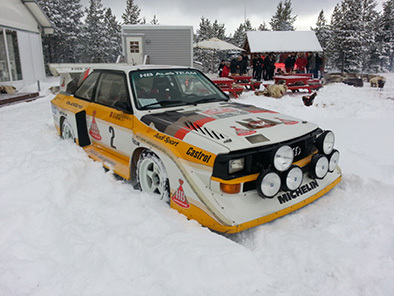 You could genuinely make a soundtrack of the rasps that ring out through the exhaust as you hurtle along. In normal more behaving “Dynamic” mode the Quadrifoglio is still playful and engaging on the road. While I’m sure our test car may have appreciated a break on the motorway we found that where it was most enjoyable was along the winding country roads to be found around the Wicklow Mountains. Even when accelerating hard out of corners and the back end decides to remind you that it is still there, the Giulia still manages to remember its manners and bring itself back into line in the blink of an eye. 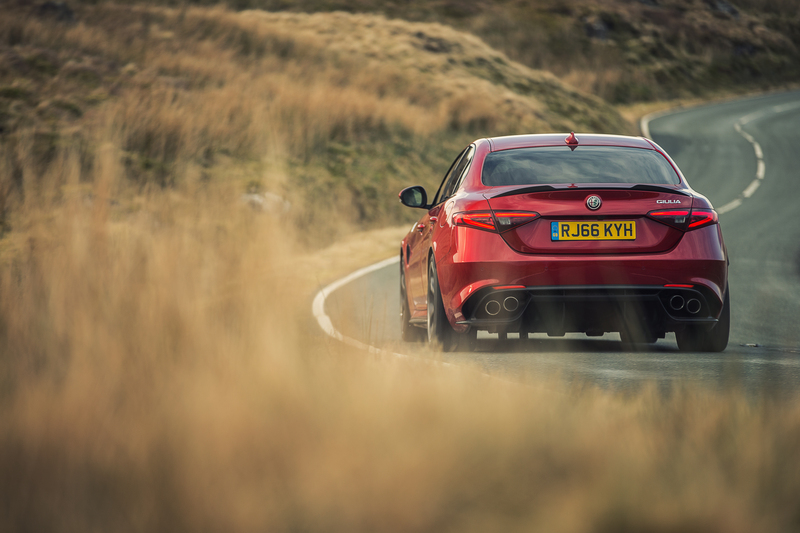 The way this car is designed and the technology being utilised just highlights the lengths that Alfa have gone to to ensure that they have produced a car that they hope will allow them to begin to regain a foothold in an ever-expanding segment within the overall car market. Pricing on the Alfa Romeo Giulia start from €39,995 in Giulia trim while the Giulia Super trim starts from €41,995. Alfa Romeo are also currently running a promotional launch offer which allows you to step up from the Giulia Super up to Super Sport or Super Lux for an additional €171. The range topping Quadrifoglio will set you back €99,945. All models come with 3 year warranty and it should also be noted that the new Giulia has been awarded the highest EURO NCAP score ever achieved by any car at 98% and five stars. The new Alfa Romeo Giulia could not have come at a better time for Alfa Romeo. This launch is an opportunity to not only launch a new model but also an opportunity to rebuild a brand. Both are tough tasks but with a product like the Giulia now in their stable the task ahead may just be that little bit easier.